Giant Microbes Stuffed Animals Make Great Gifts! 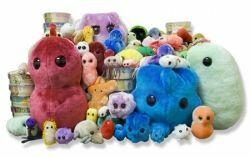 If you're wondering what to get that parent, child, teacher, or health, medical and science professional in your life, you can't go wrong with a giant plush microbe from the folks at GIANTmicrobes! 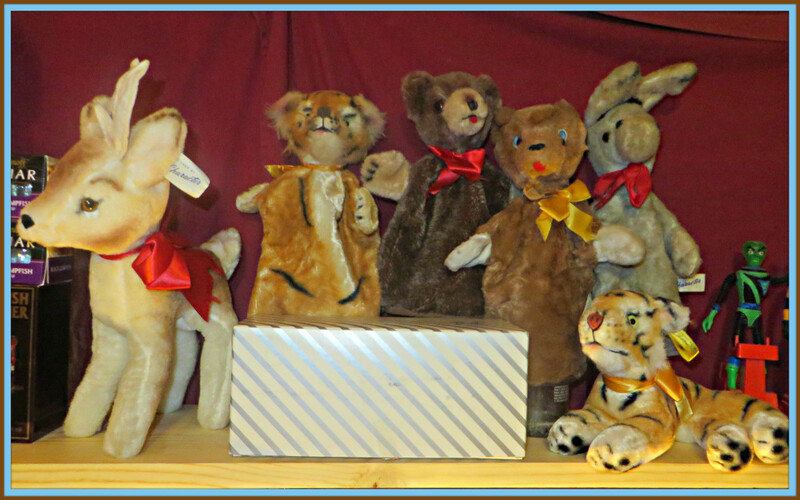 These plush stuffed germs are lots of fun! You can put an E. coli on your bathroom shelf, get a Heart Worm for your dog to play with, give the Cold Virus to a sick friend to keep them from being "blue." The sky's the limit here! If they're interested in science and have a "healthy" sense of humor, these Giant Microbes Stuffed Animals are just what the doctor ordered. Giant Microbe plush toys are so much fun! 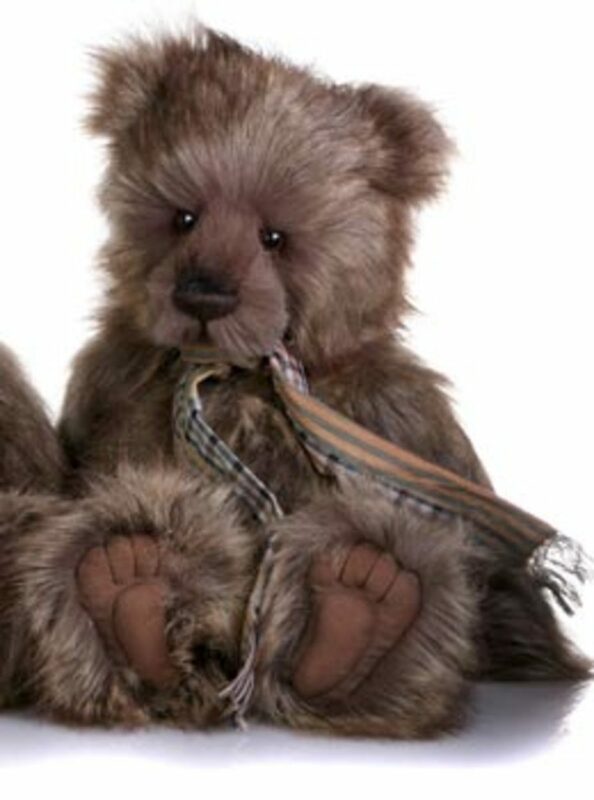 I mean, take a look at this Plush Common Cold Virus. Did you know that billions and billions of people catch the cold each year. Now you can "catch" one too - without getting sick! What child or friend with a cold wouldn't love one of these microbe stuffed toys to make them feel better? 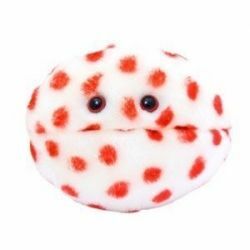 Teach your kids all about the common cold with this cuddly stuffed microbes toy. What Are Giant Microbe Stuffed Toys? 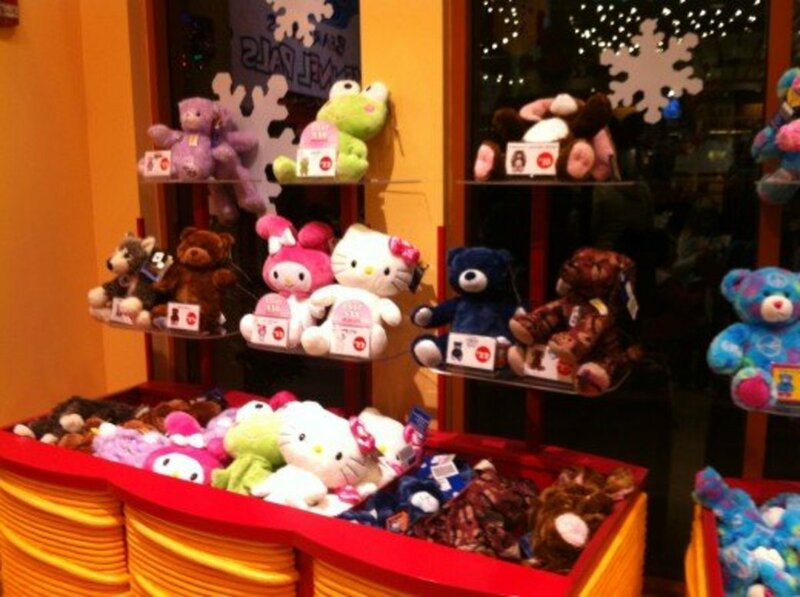 Big Stuffed Animals That Look Like Tiny Microbes! 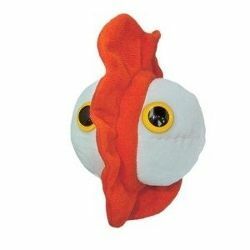 Giant Microbes plush toys are the products of GIANTmicrobes, a toy company based in Stamford, Connecticut. Toy designer Drew Oliver founded the company in 2002, and since then has created a HUGE line of designer plush stuffed toys resembling microbes and other organisms. Each of the 5" to 7" long soft toys is designed based on the electron microscope images of real-life microbes, and comes packaged with a picture of, and information about, the real-life microbe that it represents. Giant Microbes are cute, fun, and - last but not least - educational! 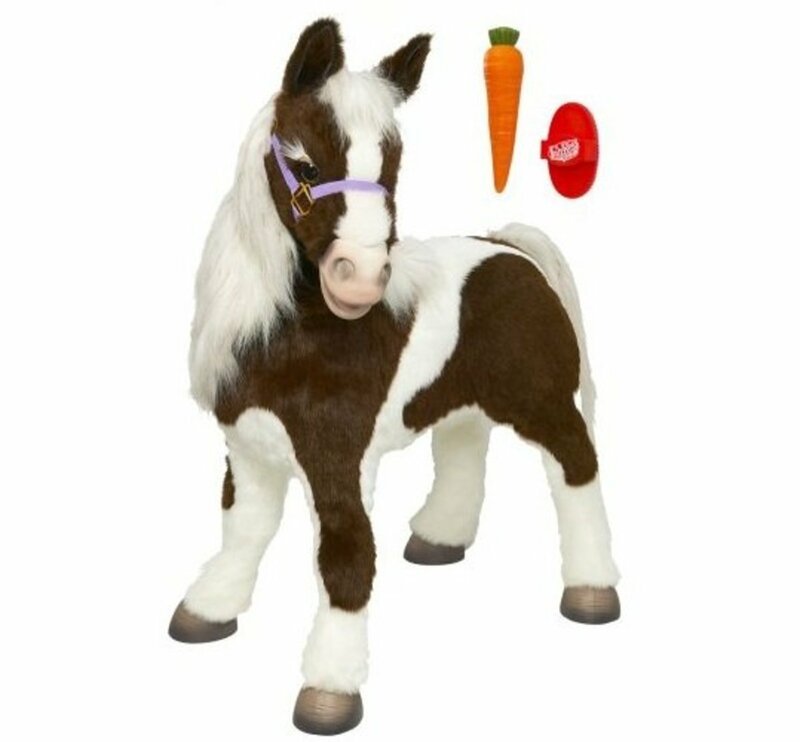 They make great toys and collectibles for kids of all ages. In addition to germ stuffed animals, GIANTmicrobes also carries a line of "critters" and "aquatics!" One of the world's most abundant, multicellular creatures, Copepods are small crustacians found in the sea and in almost every freshwater habitat on earth! 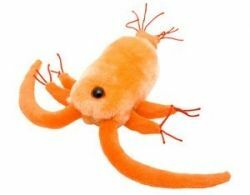 Get a GIANTmicrobe Copepod of your very own, or for that special child, friend or science teacher in your life. GIANTmicrobes, the company that has created Giant Microbes stuffed toys, got its start in 2002 with a small line of organisms. 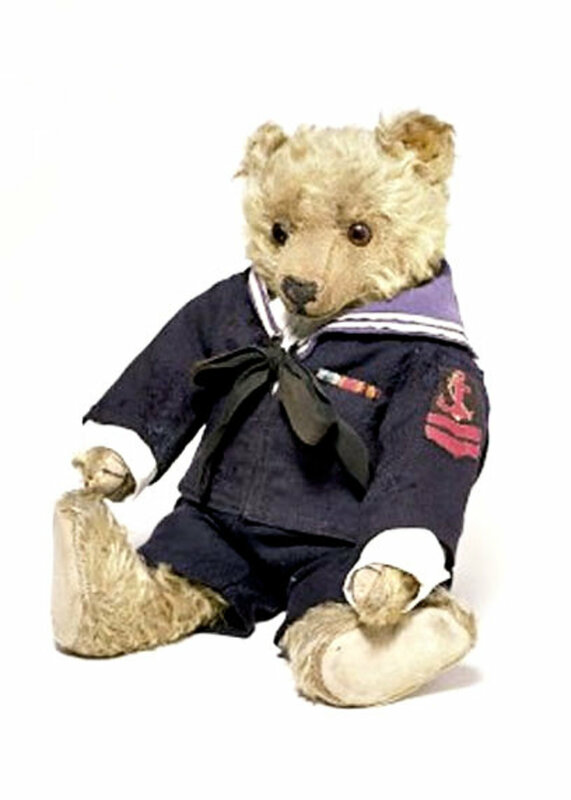 These cute plush toys immediately caught the imagination of everyone who saw them - including students, care workers and children. Since then, the line of Giant Microbes plushies has been growing like wildfire, with over 100 different microbes and small animals currently in production. Maladies - Bad Breath, Kissing Disease, Athlete's Foot, Ulcer, Pimple & More! Exotics - Martian Life, Beer & Bread (Yeast), T4, Penicillin, Bird Flu, Swine Flu, & More! Calamities - Black Death, Anthrax, Ebola, Sleeping Sickness, Mad Cow, Typhoid, & More! Aquatics - Algae, Scum, Sea Sparkle, Red Tide, Krill, Amoeba, Waterbear, & More! Alimentaries - E. Coli, Salmonella, Cavity, Yogurt, Acidophilus, Listeria, & More! Infirmaries - Staph, Pneumonia, Chicken Pox, MRSA, Measles, Rubella & More! Great for any Family or Classroom! The GIANTmicrobes Handwashing Kit is great for any family or classroom! Perhaps the coolest think in the kit is the germ detection powder, gel and UV light key chain. You use these to show kids how germs are spread and why washing their hands is important to their health. The GIANTmicrobes Handwashing Kit also contains an instruction booklet with hand washing tips, GIANTmicrobes Character Stickers, a GIANTmicrobes Common Cold Key Chain, and - last but not least - a Sniffles Mirror Cling that you can hang from the bathroom mirror to remind everyone to wash their hands! Christmas Gifts Teachers - And Everyone Else - Will Love! Do you, or someone you know, adore the Giant Microbes plush toys? If so - be sure and check out all the specialty Christmas collections and figures that the company has come out with! Keep in mind the Giant Microbes stuffed animals make GREAT teacher Christmas gifts - Christmas gifts teachers will always remember! Who couldn't use some more brain cells? 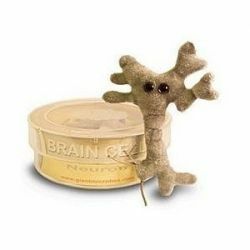 Even a plush brain cell! Following the success of their Giant Microbes large-size plush animals, the company - GIANTmicrobes - came up with another type of plush doll. Now, you can purchase sets of smaller giant microbes plushies that come in "petri dishes." The petri dish containers look just like those you used in science class, and each contains a number of smaller microbes or organisms, along with fun and educational facts about that microbe or organism. 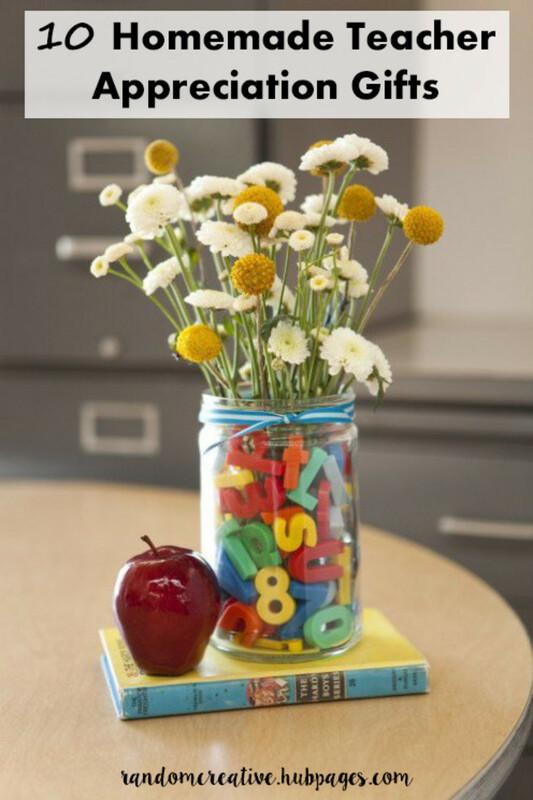 Teacher Appreciation Week is a week-long celebration in the United States and is observed the first full week in May. Teacher Appreciation Week 2013 runs from Monday, May 6th to Friday, May 10th. 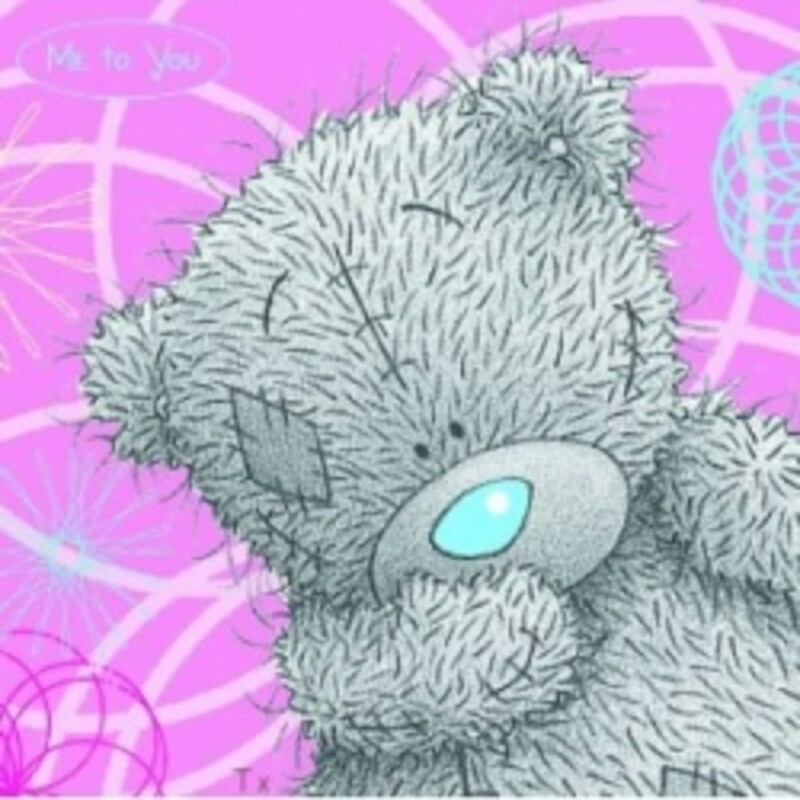 Teacher Appreciation Day is the Tuesday that falls during Teacher Appreciation Week, or Tuesday, May 7th, 2013. 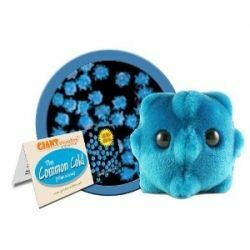 Giant Microbes stuffed animals make the absolute best teacher gifts, and they make absolutely cool science teacher gifts - hands down! -- Ebola costumed as Frankenstein with stitched mouth and neck bolts! 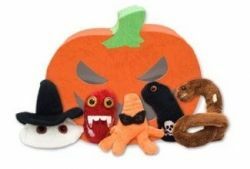 Get Your Giant Microbes Halloween Mini Microbe Box at Amazon! 23Squidoo is a participant in the Amazon Services LLC Associates Program, an affiliate advertising program designed to provide a means for sites to earn advertising fees by advertising and linking Adventurous Lives to Amazon properties including, but not limited to, amazon.com, endless.com, myhabit.com, smallparts.com, or amazonwireless.com. Certain content that appears on this site comes from Amazon Services LLC. This content is provided 'as is' and is subject to change or removal at any time. Do YOU Have a Favorite Giant Microbe? - Share It With Us Here! These are great! I've never had germs make me laugh before! These are a hoot, but very educational too to teach kids about germs and microbes! Interesting lens! This is the first time I have heard of this. Thanks for sharing! Haha - Love the E. coli, quite fond of the Cancer malignant neoplasm too! I have never heard of these before but I like the Giant Microbes Soap Dispenser. Certainly makes for an unusual gift. I've never heard of these before. Interesting. Good lens to inform.